If you like music, GOOD music you WILL want to come to this concert. Barry Ward is a very talented artist and is going to be playing and singing to help out Berean Ministry. The concert is free, there will be food fun and fellowship along with the great music. 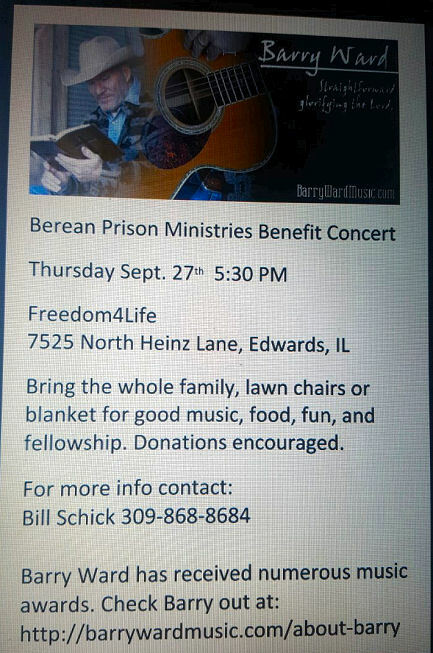 A FREE WILL offering will be taken to help the thousands of prisoners Berean serves.